Well, I’m getting older and when you get older there are things that you take for granted when you were younger that matter much more as you age. 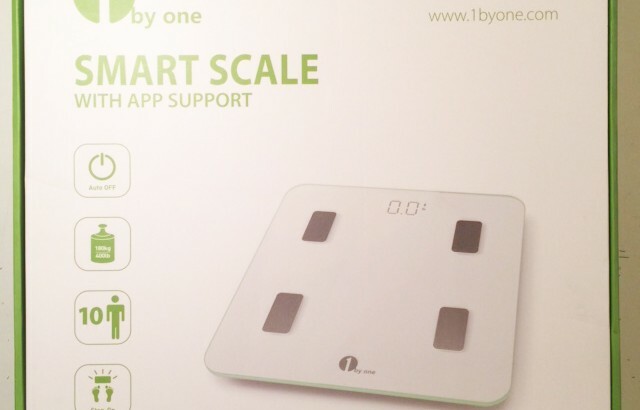 1byOne has done it again with their fantastic scale. This particular device has many cool features that can assist greatly with tracking your wellness. Once the scale arrived I opened it up out of it’s nicely designed package and popped in the batteries. That is always a plus, including batteries. There have been plenty of times where I have purchased something not realizing I needed batteries to go with it. So I am thankful for 1byOne including the batteries needed to get this scale going after opening up the box. Before powering on the scale I wanted to make sure I grabbed the free 1byOne Wellness app (https://itunes.apple.com/us/app/1byone-wellness/id1111572433?mt=8). Once everything was downloaded and connected I gave the scale a try. After just a few seconds from stepping on the scale it was already sending data to my phone for me to check out. It is incredible to see how fast this can track your health. It is literally just a few seconds and you are done. The ability to track this information over a period of time will benefit so many trying to get back into shape after this holiday season. 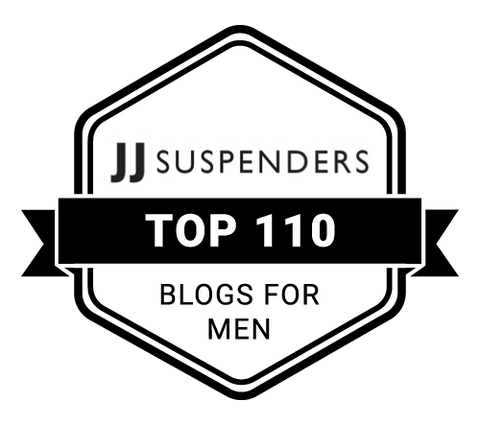 Let’s face it, 2016 was a rough year so anything we can use to help kick up the pace and keep us on track to lead healthier lives is a plus in my book. 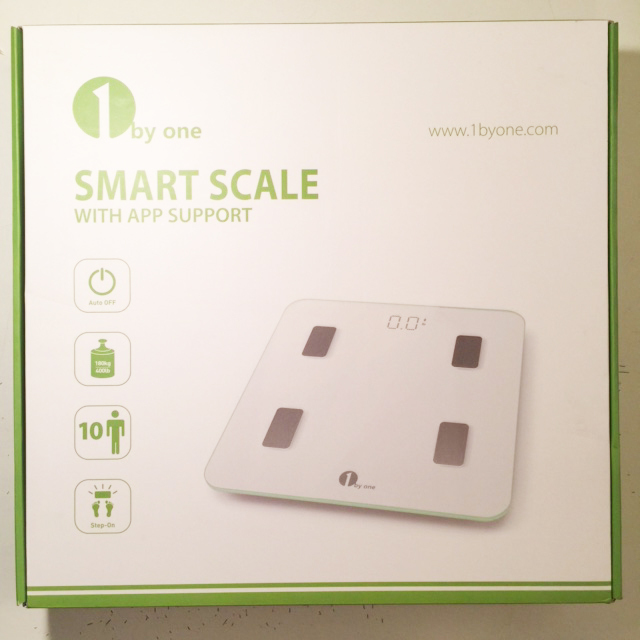 If you are in the market for a new scale I would recommend giving 1byOne a shot. 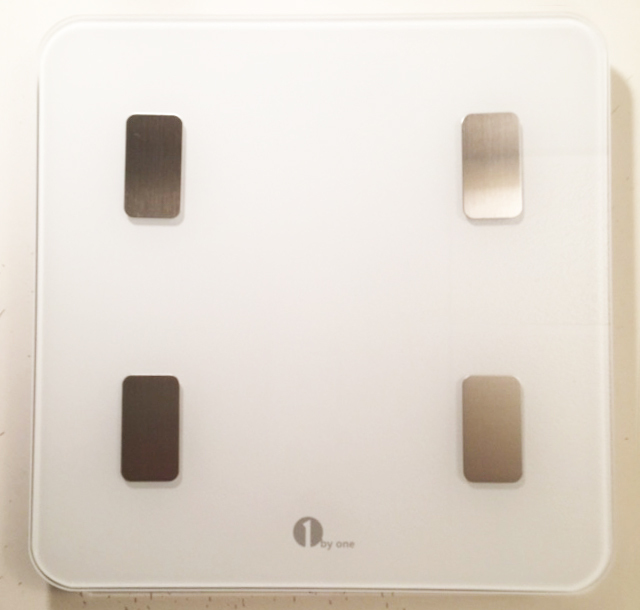 Their digital smart scale is the perfect accessory for anyone trying to manage their wellness. Check it out over on 1byOne’s website and/or pick yours up from Amazon today! Be sure to follow all of 1byOne’s social media accounts to stay up to date on their latest product offerings as well as other cool info! Facebook, Twitter, Google+, Pinterest, Instagram, Tumblr, and YouTube! 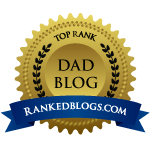 1byone.com provided St. Louis Dad with this product as compensation in exchange for an honest review. Please visit 1byone.com for more awesome products that can help make your life better! 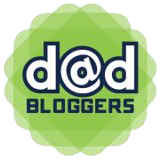 Get a Jump Start This Winter Turntable Toddler Time A Toothbrush Review? It’s Christmas in August!!! 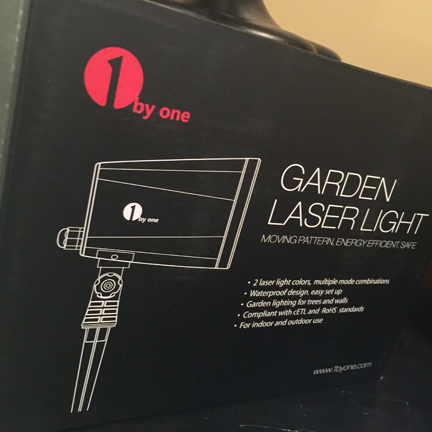 A few months ago I reviewed 1byOne’s laser garden light. It is an awesome product that will definitely help light up my house this Christmas. 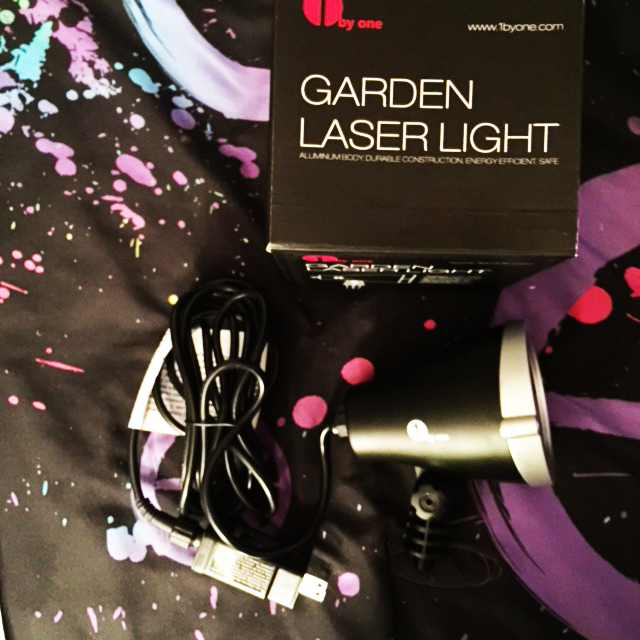 1byOne sent over their other laser garden light to see how well this St. Louis Dad likes it. Upon arrival I checked out the box and the features listed. 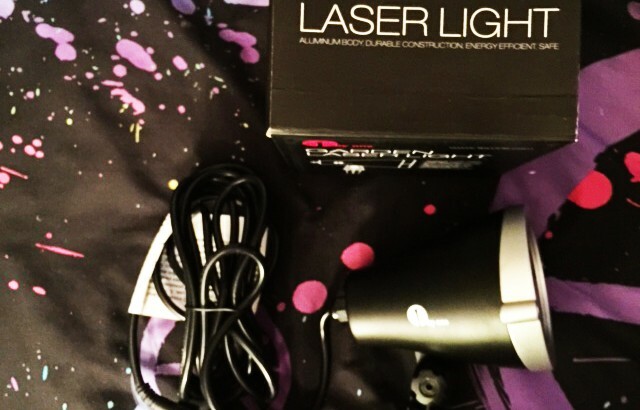 This particular laser garden light has an included remote control so you can easily change the settings without having the touch the actual device. There are a variety of settings that allow you to change how the garden light works. My favorite setting is the ability to fade in and out either the red or green colors. Unlike the previous garden light I reviewed this garden light’s green color is not Christmas trees. It is instead green dots. I really like the green and red dots. I think they keep the pattern nice and clean with the possibility to use the light for other types of events instead of only for Christmas. The kids love both of these garden lights with how easily you can light up a room with a crazy light show in just seconds. Both of these 1byOne garden lights are available on Amazon and I highly suggest checking them out. Don’t waste your time hanging lights when you can easily shine thousands of beautifully colored lights on your house in a matter of seconds. 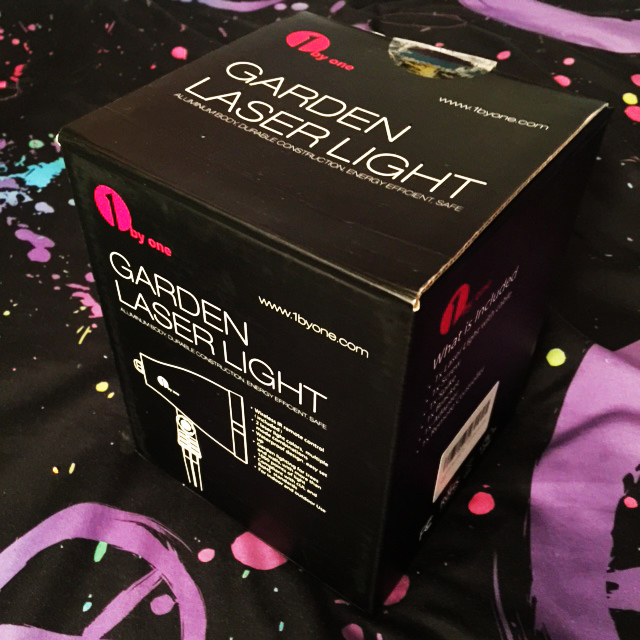 You can purchase a 1byone remote controlled laser garden light at Amazon or Amazon UK. Also be sure to follow all of 1byOne’s social media accounts to stay up to date on their latest product offerings as well as other cool info! It’s Christmas in August!!! Get a Jump Start This Winter Solar Charging Happiness with 1byOne Let There Be Light! 1byOne is up there in brands when it comes to some cool and innovative products. The latest item they sent over for me to check out is just as cool as the last product I reviewed from them. 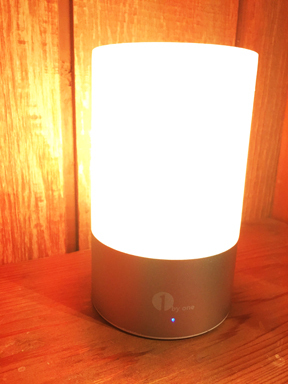 This time they sent over a touch sensor table lamp. I’m sure you are asking me how cool can a lamp really be? Well, this lamp is cool and I will tell you just how cool it is. First off, this lamp is wireless. You can move it anywhere while it is on. It doesn’t get hot so there is no need to worry where to grab when moving. It recharges using a USB cable, which can be plugged into your computer or an extra USB phone charger to easily recharge. Secondly, it has a nice natural bright color, that can be adjusted. Not only can you adjust the brightness you can also change the color. The lamp can cycle through 256 RBG spectrum of vibrant colors and can easily be set to your favorite just by tapping the top of the lamp. Aside from your normal lamp uses such as bedside lamp, living room, etc, etc… This lamp because of it is portable you can bring it camping and have a nice luminous campsite or for inside the tent. You could even use the 1byOne solar charger to charge the lamp during the day. 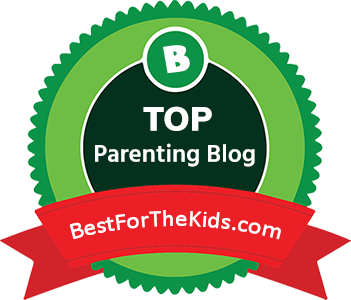 Another idea is to turn on the rotation of colors and start a dance party with your kids. The cycling of colors got my two rascals all riled up right before bedtime. I would say that the lamp is just a little too bright to be used as a night light but it works great as a light source in just about any room. An idea for a cleanup game came into play once I seen how many colors this lamp goes through. 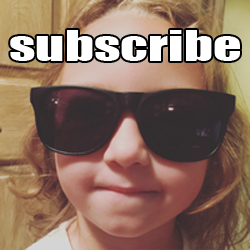 So I decided to give it a try with my own kids. Basically the kids clean up as many toys before the lamp cycles back to the starting color. Once the lamp reaches the starting color I stop the cycle and the kids freeze in place. Once the color cycle starts again the kids unfreeze and go back to cleaning. It worked the first time. I haven’t tried it again because I don’t want them to catch on that I am tricking them into cleaning up their toys. Any way you look at it, this lamp is ridiculously awesome. It’s small but bright and the fact that it is wireless, that sells itself. You can purchase a 1byone led lamp at Amazon or Amazon UK. Also be sure to follow all of 1byOne’s social media accounts to stay up to date on their latest product offerings as well as other cool info! It’s Christmas in August! Well, not exactly, the weather is beautiful and school has just satrted, but it sure feels like it with this great item 1byOne sent over for me to check out and review. 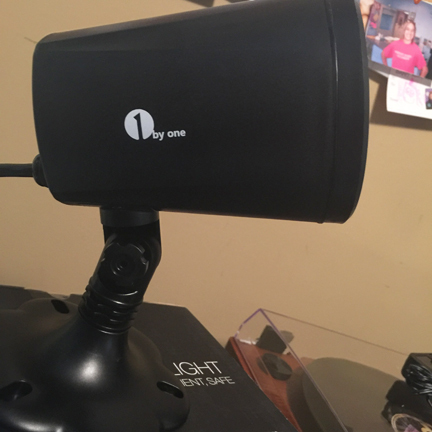 I love reviewing 1byOne products mainly because they have some great innovative pieces of technology. From the bluetooth speaker to the solar charger they keep on impressing this St. Louis Dad. 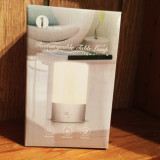 This time 1byOne sent over a garden light made specifically for Christmas. This awesome light uses laser technology to beam Christmas trees and red dots on just about any surface you want. You can use the garden light inside or outside. It can withstand a little rain but shouldn’t be submerged according to the included manual. I would also recommend using caution with the lasers. Never look directly into the laser lights and never shine it into the sky, always on a surface. You don’t want to mess with any airplanes passing overheard. St. Louis Lambert Airport is not very far from my location and we have planes flying overhead often enough that I’m going to be using the 1byOne Garden Laser Light indoors this Christmas. It is perfect to shine on many areas in our house and the kids love the moving display of little red dots and green trees. My only recommendation for this particular light is possibly having a way to change what is displayed based on holiday. Maybe some bunnies and eggs for Easter, fireworks for the Fourth of July, pumpkins for Halloween, etc… But I’m not disappointed with the garden light at all. I am excited to use it this winter season and I would recommend anyone looking into the latest Christmas display technology to give 1byOne’s garden laser light a chance to liven up your display this season. The light does include a timer and sensor for daylight. You can also change the display between the trees and red dots and how they may interact. The garden light does require an electrical outlet and has an included cord that is pretty lengthy. You can purchase a 1byone garden light at Amazon or Amazon UK. Also be sure to follow all of 1byOne’s social media accounts to stay up to date on their latest product offerings as well as other cool info!